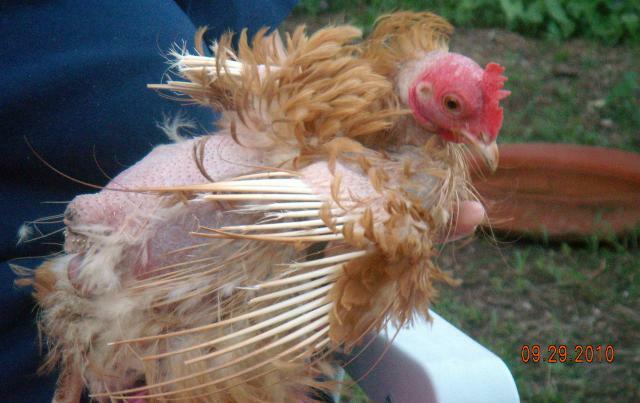 Molting chickens can look really bad and, as an animal carer/owner, can inspire feelings of guilt in that perhaps you’re not looking after your feathered friends well enough. So as the weather turns cold and our ladies stop laying, I’ve been doing some research to understand this process better and to help rid myself of unfounded guilt. Here’s what I’ve found. 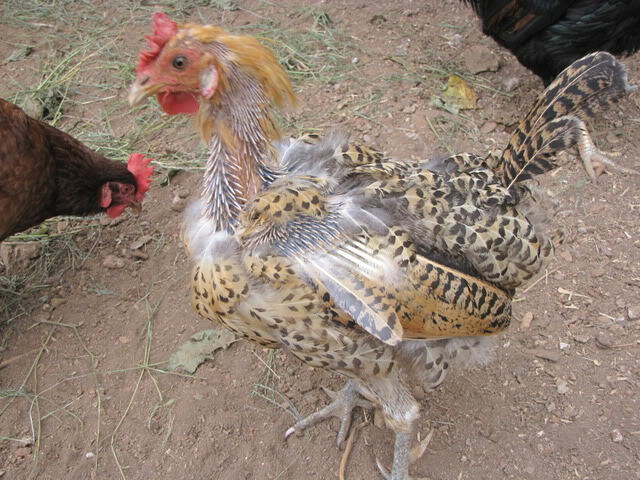 Well firstly, it’s not just chickens, roosters also molt. There are a few reasons why it all happens including less daylight hours (as the days shorten in Winter), their laying cycle has finished (most chickens will take Winter off for a rest), or they’re experiencing some abnormal stress. The thing to remember is that molting is actually a regenerative process as they get a whole new coat of feathers which helps protect them from the elements and, apparently once they’ve molted, they’re more resistant to disease. So it’s a good, healthy thing – no matter how bad it looks. When molting, chickens can look a bit sick and sometimes lose weight, it’s important to keep a close eye on them to make sure they don’t actually GET sick. If they start to behave sluggish or irregular, this isn’t normal ‘molting behaviour’ and you should seek further advice. Other physical changes which can occur include their combs appearing more dull in colour and their eyes can get a bit droopy. This is all very understandable when you realise that feathers are around 85% protein while eggs only 13%, so our feathered friends are putting a huge amount of energy into growing feathers. In the process they give up the egg laying and divert that energy into feather making – fair enough I say. 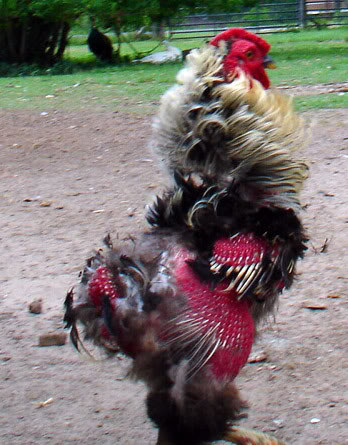 For roosters, fertility usually lowers in this time. As some birds will loose a large amount (or all) their feathers, their exposed skin can get irritated and bright red due to increased contact with objects (straw, the ground etc) or other chickens pecking them. If other chickens/roosters are picking on certain chooks, make sure that no skin is damaged (and starts bleeding) as infection can occur. If bullying is going on you may need to separate some of them for a period of time. Does their diet need to change when molting? While your chickens are molting it’s nice to be able to feed them food with higher amounts of protein in them to help keep them healthy. You can buy pellets or grain mixes with higher percentages of protein for this time (around 20% protein content). Of course, if you’re able to give them fresh bugs, worms, black soldier flies this would be fantastic. Sunflower seeds are a big time favourite with our chooks – they can’t get enough of them, this season I’ll be upping their quota of these seeds, plus bugs and slugs. Our chickens haven’t started molting properly yet, however I know it’s coming soon as they’ve gone off the lay, their combs are looking rather dull and their eyes are a bit droopy. And don’t worry, Scratch does have two legs, she was just practicing some yoga moves during the photo shoot. You can see the red, irritated bare skin on this bird. Simply keep an eye on it and make sure other chickens/rooster don’t pick on them. 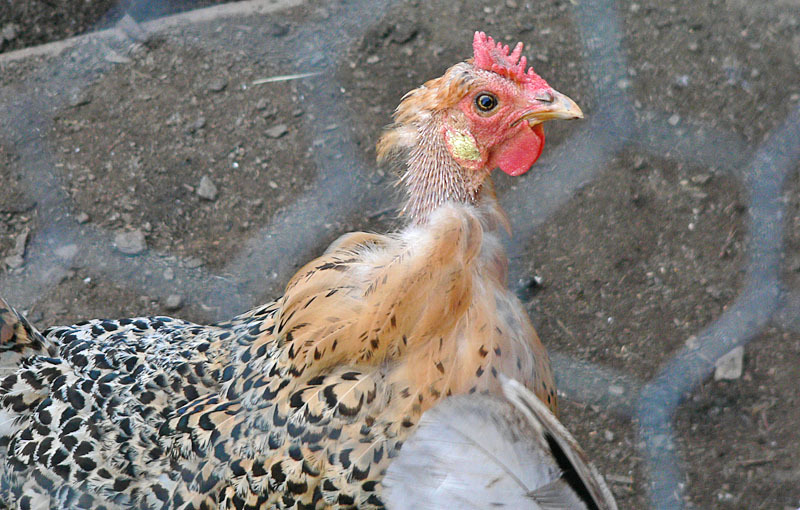 To help prevent any unnecessary stress in the chicken’s lives, avoid bringing new birds into the flock if possible. This is a stressy process in the best of times, so definitely avoid it while molting. Another hot tip is that you should limit/eliminate handling your chooks as it’s painful for them when molting. Photos are all gathered from various webpages from Backyard Chickens, except ‘Scratch’. Good article Hannah! Our chooks have just gone off the lay and started moulting – So its great to learn a bit about it. Also great to know about the advantage of higher protein in the diet, although they already get plenty of worms! Great article. I was a bit worried about the hens when they started to get bald patches. Only two of our five hens have moulted to any extent. The new feathers are now coming through. I made sure they had plenty of protein- even giving them fish carcasses, which they enjoyed! They’re lucky chickens to have you Vicki! Good to hear the article’s helpful. Thanks for the article, I was wondering what to supplement their diet with so will go out and get some nice grubs for them :-). Our 2 hens laid all through winter without moulting (Sydney so a mild winter). Only 1 has started moulting but only underneath (is that the saddle?). it isn’t noticeable unless you pick her up and look under. Will keep an eye on her anyway, she is still laying at the moment. Thanks for the info. I was noticing that a couple of my hens were starting to look a little worse for wear a few weeks ago. They had droopy eyes, their combs looked dull, they were off their lay, and I thought, “Are these signs that I should cull them now? ?” some info suggested that I do this in autumn when they show these signs( they are in their second year). But, I wanted to give them a chance to replenish, so I retired two hens to the all-ladies hen run, and gave them a break from rooster, as these were my breeder hens, then began to feed them up a bit on occassional kangaroo mince, plenty of greens from garden (silverbeet and zucchini) to bring back some vitality and luster. Thankfully i called my breeder, the one who knows my breed the best. So turns out I didn’t need to cull, they were just molting! It pays to do a lot of research and ask experienced breeders, before you do your own diagnosis from internet info. This article is good because it highlights the changes in your chooks when they are going through a autumn molt. I also wanted to make a point that people need to respect the chicken’s seasons and not see them as purely an egg laying machine. Molting is a time that these feathered beats need to take time out and replenish themselves for another year. Thanks, again. Thank you for your article reassuring. we have eight chooks and starting to molt (may) most are laying daily still I have been on to George to get a supplement but now realise a normal response. Good to read the information on moulting! I do have a question though, we have a Isa Brown that started laying a year ago, I noticed Emily was a bit thin round the back a few weeks ago & assumed she was moulting. She has been laying almost every day then stopped about 10 days ago. There’s been a lot of years since I was a kid on the farm, I remember the chooks moulting but is this the usual pattern for an Isa Brown? She has always laid beautiful big eggs between 78-95grams. I won’t have the Isa a Browns again, we inherited 2 & bought 2 more. 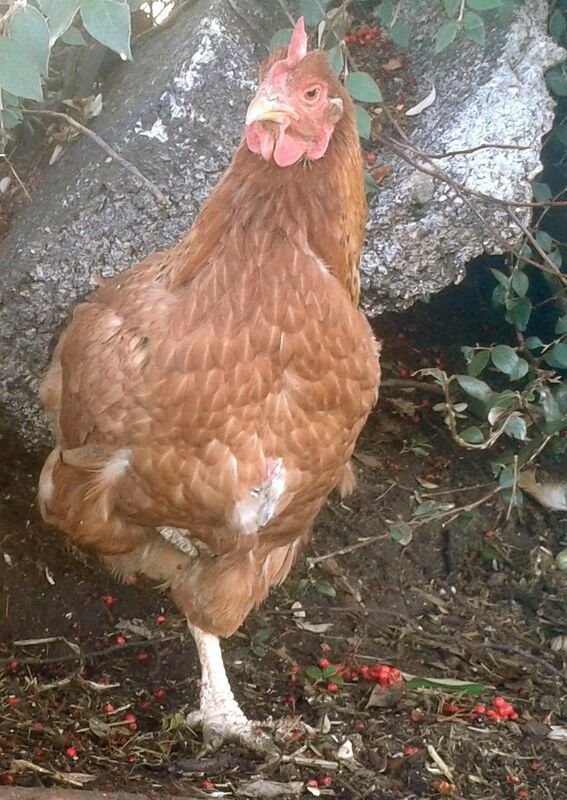 We lost Beverley, one of the inherited girls, she laid the most amazing eggs, 90-100grms. Then lost Molly one of the younger ones. So we have 2 Isa Browns left and also have 2 black Austrolorps & a white RiR X Leghorn. We do really well and usually get 25-27 eggs a week. Our top week out of the 5 girls was 32 eggs. 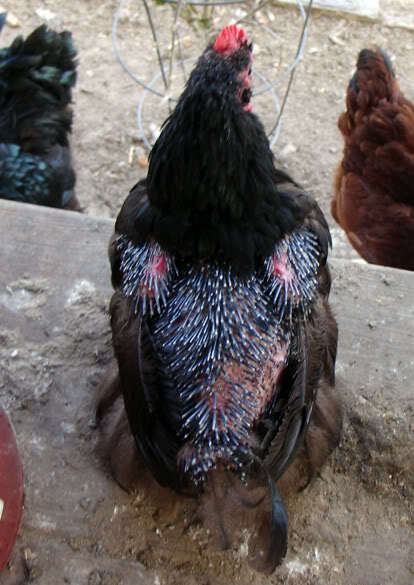 hi.i have a frizzle chicken and she is going throungh a hold molt.she looks just like the picture of the chicken you have (the picture with the date on).was wondering if the long pointy pin feather will drop out.they are very sharp and do not look very nice.